If you are looking for income-based housing well-suited for seniors, families or those with disabilities then follow the link to the apartment listings to get information needed to explore those housing options. Look for the property manager contact information to learn specifics unique to a particular complex. Special to Durham, North Carolina, veteran transitional housing fills a gap while a service member works toward independent living. Employment services are available to military veterans who are homeless and looking for job supports and placement. may call the closest VOA Carolinas SSVF Office to learn more about helps toward preventing homelessness or re-establishing housing. Whether you're new to the civilian workforce or seeking to enhance your career opportunities, this professional development training series can help you become more competitive in today's job market. Created in partnership with Quality of Life Services leader Sodexo, these informative webinars will provide you with essential skills to help move you ahead on your career path. 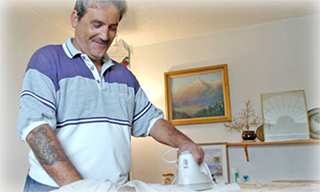 By providing health care in the home and community Senior CommUnity Care of North Carolina helps elders live more independently.